In June 1946, the Canadian Library Association was founded on the McMaster University campus in Hamilton, Ontario. There were about 300 persons in attendance. One of the first orders of business was the adoption of a draft constitution which had been circulated to groups across the nation. The members present agreed that the CLA would be a bilingual, national organization with annual conferences across Canada. However, the delegates balked at the draft proposal of having executives and governing councilors represent geographical considerations; instead, the members voted to have both the association's Executive and Council elected by the membership based on personal merit. Membership in CLA was envisioned to be general: there would be institutional members interested in the promotion of library service, librarians, trustees and those serving on governing boards of libraries, as well as associate members (persons interested in librarianship and libraries). Professional interests were represented in new active Sections, six by 1950: Children's, Young People's, Trustees, Cataloguing, Reference, and Research Libraries. The CLA's constitution was incorporated under Canada's federal Companies Act on November 26, 1947. Of course, some constitutional provisions, such as the one on Sections (VII), would be revised a number of times in the next decade. This version was published in 1947 and reflects the ideas and agreement reached at the founding meeting of CLA. Sec. 1. The name of this body shall be the Canadian Library Association or Association Canadienne des Bibliothèques. (c) to co-operate with library associations both within and outside of Canada and with other organizations interested in the promotion of education, science and culture. Sec. 2. The Association shall be a non-profit, non-sectarian, non-political body. Sec. 1. Members. An individual, institution or other group approved by the Executive Board may become a member upon payment of the fees provided for in the by-laws. The membership of an individual or an institution may be suspended by two-thirds vote of the Combined Executive Board and Council; a suspended member may be reinstated by a two-thirds vote of the Board and Council in joint session. (a) The officers of the Association shall be a President, a President-Elect, who shall serve as First Vice-President, a Second Vice-President, an Executive Secretary, and a Treasurer. These officers, with the exception of the Executive Secretary, shall be elected at each annual general meeting of the Association, and, with the immediate Past President, shall constitute the Executive Board. (b) All library members shall be eligible for election to the Executive Board. Sec. 2. Duties of Officers. (a) The President, First Vice-President, Executive Secretary and Treasurer shall perform the duties relating to their respective offices. (b) The President shall be an ex-officio member of all Committees of the Association. (c) i. The President-Elect shall serve the first year after election as First Vice-President, the second year as President, the third year as ex-officio member of the Executive Board. ii. The President-Elect shall, in accordance with the By-laws, designate to the Executive Board for appointment, the five members of the Nominating Committee. (d)The President, the Executive Secretary and the Treasurer shall report annually to the membership. Sec. 3. Duties of the Executive Board. (a) The Executive Board shall administer the affairs of the Association during its term of office in accordance with the policies laid down by the Council. (b) It shall review all membership applications as submitted, and be responsible for their approval. (c) It shall review the annual estimates, and approve the annual budgets which shall be received by the Treasurer. All budgets shall be within the limit of the estimated income of the Association. (d) It shall report promptly resolutions adopted by the Executive Board to the Councillors. (e) It shall fix compensation of all paid officers and employees. (f) It shall choose and appoint the Executive Secretary. This officer shall be appointed by the Executive Board at each annual Executive Board meeting. (g) It shall designate the length of terms of appointments to Committees in accordance with the By-laws. (h) The Executive Board shall authorize votes by mail when required. (i) It shall fill all vacancies in office. The persons so elected shall serve until the end of the fiscal year. Sec. 4. Term of Office. (a) The officers and the Executive Board shall serve until the end of the fiscal year. (b) i. No person shall serve on the Executive Board for more than three consecutive years. ii. No person can be returned to the Executive Board after a term of three years, during the three years subsequent to the expiration of his term of office. (a) Nine members elected by the membership at large. (b) The members of the Executive Board. Sec. 2. Councillors. Members of the Council shall be Members of the Association in good standing. (a)The Council shall be the Legislative body of the Association. (b) It shall determine all policies of the Association and its decisions shall be binding upon the Association, its officers, and its constituted bodies. (c) In the Council shall be vested all powers of the Association not otherwise provided for in the Constitution and By-laws. (d) It shall inform the Executive Board of all new and revised policies. (e) The Council shall review the action of officers, Committees and Executive Board of the Association. (f) It shall promptly consider questions of professional and public interest referred to it by the membership Committees, or Executive Board, and promptly act upon reports and recommendations made by the Association and its constituted bodies. (g) It shall report regularly to the Association at the annual meeting. (h) It shall appoint Standing Committees in accordance with the By-laws. (i)The members may. set aside any action of the Council by a three-fourths vote at any meeting of the Association or by a majority vote by mail in which one-fourth of the voting members of the Association have voted. Such vote by mail shall be held upon petition of fifty members of the Association. Sec. 4. Terms of Office. (a) Councillors chosen by the membership at large shall serve for a term of three years except as stated in the By-laws. (b) No person shall serve on the Council for two consecutive terms. (c) The Council year shall be the Fiscal Year. Sec. 1. Committees shall be appointed in accordance with the By-laws. Sec. 2. All members of the Association are eligible for committee membership. Sec. 3. The President shall be an ex-officio member of all Committees of the Association. Sec. 4. Each Committee shall present an annual report to the Council. Sec. 1. Special interest sections of the Association may be constituted as provided for in the By-laws. Sec. 1. Meetings shall be held as provided for in the By-laws. Sec. 1. By-laws and amendments to them may be proposed in writing by the Executive Board, by the Council, or by twenty voting members of the Association. Sec. 2. They shall be received by the Executive Secretary and included in the agenda for the annual general meeting. Sec. 3. They may be adopted by a majority vote of the members present and voting at an annual general meeting. Sec. 4. Any By-law may be suspended by a three-fourths vote of those present and voting at an annual general meeting. Sec. 1. Amendments to the constitution may be proposed in writing by the Council, by the Executive Board, or by twenty voting members of the Association for consideration by a Constitution Committee at least two months before the annual general meeting. Sec. 2. Report of the Constitution Committee shall be received by the Executive Secretary, included in the agenda for the annual general meeting, and mailed to the membership three weeks in advance of the meeting. Sec. 3. Amendments may be adopted by a majority vote of the members present and voting at the annual general meeting. I had an opportunity to speak at OLA's most recent Super Conference in Toronto. It was the twenty-fifth anniversary! OLA's restructuring of its various annual meetings and sub-conferences in the mid-1990s has been highly successful for the library community and its trade show, attracting attention from across Canada, not just the province of Ontario. Anyway, I was speaking at a session designed on "governance" mostly aimed at library trustees but also of some interest to librarians and people interested in libraries as well. I am posting a PDF version of a PowerPoint that I used to talk about a "short history" of Ontario's public library movement, its trustees, legislation, the OLA itself, and some main trends that have absorbed people's attention over the past century. The history of libraries in Ontario does not usually focus on library boards or trusteeship or the OLA's impact but it is well worth examining. You can visit the session and read through the PDF handout I used at the OLA Super Conference site for the session "The History of Public Library and Library Boards in Ontario." My co-presenter was Kerry Badgley, the Past-President of OLA and its President in 2018. Kerry spoke on his current research in these areas, especially the period after the First World War. Early in the twentieth century a small group of trustees, librarians, and persons interested in libraries met in Toronto at the Ontario Education Department's Normal School located on St. James Square (present-day Ryerson University). They planned to form an association to promote public library development in Ontario, despite the their small numbers--just more than thirty attendees. The delegates elected James Bain, Jr., chief librarian of the Toronto Public Library as President of the Ontario Library Association. He read an inspiring paper, "The Library Movement in Ontario." The new Secretary from Lindsay, Edwin A. Hardy, gave a more pragmatic paper, "An Outline Programme of the Work of the Ontario Library Association." Both men would be instrumental in the following years in which the OLA would vigorously promote public libraries and become one of the most successful library associations in North America. Other presentations focused on Canadian literature and poetry, small libraries and schools, travelling libraries, and book selection. By all newspaper accounts, the meeting boded well for the future of libraries in the province. This organization shall be called "The Ontario Library Association." Its object shall be to promote the welfare of Libraries, by stimulating public interests in founding and improving them, by securing any need of legislation, by furthering such co-operative work as shall improve results or reduce expenses, by exchanging views and making recommendations in convention or otherwise, and by advancing the common interests of Librarians, Trustees and Directors and others engaged in library and allied in education work. (a) Any person engaged in Library work as Trustee, Director, Librarian, or in any other capacity, may become a member by paying the annual fee and any others after election by the Executive Committee. (b) Librarians may join the Association in the same way as individuals, and shall be entitled to two representatives at the meetings of the Association. (c) The annual fee shall be $1.00 for individuals, and $2.00 for Libraries. (d) Honorary Members may be elected by Executive Committee at any meeting of the Committee. (e) Any person may become a life member entitled during life to all rights and privileges of membership without payment of annual dues, by payment of $10.00. (a) The officers of the Association shall be a President, two Vice-presidents, Secy.-Treasurer and five Councillors, to be elected by ballot at the adjournment of the meeting at which their Successors are elected. (b) The officers, together with the President of the preceding year, shall constitute an Executive Committee of the Association, with power to act for the Association between meetings. Three members shall constitute a quorum. (c) The Executive Committee shall appoint standing committees, and such other officers and committees as may be required to transact the business of the Association. (d) The Secretary and the Treasurer shall perform the duties usually assigned to such officers. The Treasurer shall expend not more than $5.00 in any month except on orders signed by the President of the Association. (a) There shall be an annual meeting of the Association at such time and place as may be decided upon by the Executive Committee, and the Secretary shall send notice to every member of the Association, at least one month before the meeting. (b) Special meetings may be called by the President, or in his absence by the Vice-President, on a written request of ten or more members, provided one month's notice be duly given, and that only business specified in the call be transacted. (c) Ten members shall constitute a quorum. (d) Any resolution approved in writing by every member of the Committee shall have the force of a vote. ART. 6. AMENDMENTS. Amendments may be made to the constitution at any meeting of the Association, provided that notice of the proposed amendments was sent by the Secretary to each member one month before the meeting, and that the amendment has a two-thirds majority of the members present. The OLA's constitution would be revised a number of times over the next one hundred years as the organization and its aims expanded but its essential thrust to promote library development would remain a constant. The Institution shall be called The Toronto Public Library—and the date of its commencement is hereby declared to be the 27th of October, 1842. So read a small pamphlet that outlined the bylaws and constitution of yet another Canadian subscription library formed in the first part of the nineteenth century. The entry fee for a subscriber was £1, the quarterly subscription 2 shillings/6 pence, and payment to the Librarian 1 shilling. Like many of the more than fifty subscription libraries established in the Canadian colonies before 1850, the library did not have a long lifespan. Its formation has not attracted much attention, but a perusal through the pages of the British Colonist for the last months of 1842 provides insight into the development of the public library concept in Upper Canada early in the 1840s. My interest in this particular library is its name--Toronto Public Library--and the rationale for its creation at a time when mechanics' institutes, newsrooms, and societies with libraries were becoming popular in Canadian colonial settings. The founders identified the "public library" as one that held a general collection and reference materials and was accessible to all residents of a community. But it was not a constituent part of local government because it relied on voluntary payments and contributions from philanthropic persons--mostly men--who were willing to pay a sum on entry and the annual membership fee. This type of library, often called a subscription or membership or social library, performed a public function but was not a state agent and it was managed privately by a Committee of Management (COM) chosen by the subscribers. Yet it was clearly regarded as community-based agency. It characterized the importance of nineteenth century ideas about voluntarism, civic promotion, and public-private partnerships working in the interest of the public good. A public library was one that a group of people shared a common interest in reading. The proposed library took shape in the autumn of 1842 when a number of gentlemen held meetings to determine if a new library venture was possible. They enlisted the support of Toronto's mayor, Henry Sherwood, a civic-minded Tory interested in the town's progress: he agreed to the President. William B. Jarvis, also a Tory and well know for his connections with the older governing clique, the Family Compact, became a manager. Another prominent member, Thomas G. Ridout, was one of the leading managers. Ridout, a Reformer in political affairs, was interested in civic projects and later became involved with the incorporation of the Toronto Mechanics' Institute in 1847 while serving as its President, 1845-48. Another reform minded lawyer, Joseph C. Morrison, who later became a prominent judge, agreed to be secretary for the library. John Cameron, Cashier of the Commercial Bank of the Midland District at Toronto, was Vice-President. ...now, the position which the Colony occupies, and this City in particular, increasing in numbers and wealth, demands that an effort should be made to organize, and render effective, such an important institution as a Public Library. ...but when we consider that in a population of seventeen thousand, there is no Library belonging to the Public, this fact does not speak much in our favour. For our character therefore as citizens, and our growing intelligence as individuals, it is expected that the scheme will meet with public favour and support. Another generation is rising amongst us, and every well-wisher of his family, and of his kind, should be desirous that full opportunities should be granted to them for improvement. Accommodation for the library was arranged in Osborne's Building at the corner of King and Church in downtown Toronto. It appears two merchants, Osborne and Wyllie, made provision for this (the upper level of this building was later occupied for some time by the reading room of an otherwise unknown "Mercantile Library Association" recorded by W.H. Smith's Canada, Past Present and Future in 1851). But the efforts of its founders went for nought: apparently insufficient subscriptions were attained and eventually part of the money raised may have been turned over by the former Vice-President, John Cameron, to the newly formed Toronto Athenaeum in 1845. One of the purposes of the Toronto Athenaeum, which existed until 1855, was to establish a public popular library and museum. However, Toronto would not have a truly "public library" for another forty years. The Toronto Mechanics' Institute would serve the purpose of a general library for the public at small expense until 1883. The concept of a public library in the 1840s Canada was one that people could use if they made voluntary personal payments for membership at the time of entry and annual subscriptions. Public ownership through enabling provincial legislation, municipal ownership, and free access via residential rights lay in the future. After 1980 library mechanization gave way to more rapid changes. Computers and management information software began to make possible the term “knowledge workers.” Public libraries started using computers to circulate books, track patron overdues, and provide instant information on the status of books. North York offered the New York Times in on-line format. For some time, the University of Toronto Library Automated System (UTLAS) provided libraries across Canada a computerized system with catalogue copy for books and a database of holdings that could be used for resource sharing and conversion to computer output microfilm catalogues. It was an exciting time for users and a complex one for administrators and trustees. The success of Libraries 2000 and The Electronic Library served to highlight the concepts of “paperless systems” or “information age.” A major theme was the need for an effective system to organize information on a community basis with a view to free electronic retrieval and distribution. “Information” was becoming an ubiquitous term used interchangeably with concepts long associated with print culture, i.e., knowledge and ideas. Advocates insisted that it could empower people by supplying resources for better decision making. Pessimists believed that the global economic structure that information supported could ultimately displace individuals and communities with authoritarian structures. The capacity to strengthen both administrative centralization and decentralized production of content seemed to be taking place. New groups and audiences were in the process of creation, e.g., electronic mail groups or the MTV generation. Towards the end of the 1980s, librarians and trustees from local municipal libraries and the Ontario Library Association (OLA) began to think in terms of devising a strategic plan for all Ontario. It was now possible to think realistically about the creation of a provincial database—an inventory of public library holdings for access and use at the local level which could be used directly by patrons with minimal assistance from staff. Thus, the concept of One Place to Look, published in 1990 by the Ontario Strategic Directions Council shortly before the Internet’s rapid development, talked about regional library clusters becoming part of a larger “information grid.” When the word-wide “network of networks,” the Information Highway, began to come into prominence in the early 1990s, it revolutionized global high-speed communications systems. The Internet included computer networks, electronic mail and data files, fiber-optic cable television systems, the World Wide Web, Gopher searching, newsgroups, bulletin board systems, relay chat, and many interactive features. One Place to Look was visionary, but perhaps arrived too early to be a catalyst for planning because the technical infrastructure funding for collaborative projects actually was a federal responsibility. A few years later, the federal government established its Community Access Program (CAP) for rural Canadians, “Connecting Canadians,” beginning in 1994. One of the aims was to eliminate a “digital divide” in Canada by permitting rural electronic access to government services and online learning resources. Typically, during this transition, a public library would first connect to the Internet through program-sponsored computers and eventually launch its own web site. Later, in 1999, the Ontario government provided money for ten digital library projects worth $250,000 from its Library Strategic Development Fund. Toronto Public Library's “Virtual Reference Library” commenced in October 1999; it offered packaged Internet resources, such as “Science Net” for students, and e-mail service for requests beyond the Metro Toronto area. The Internet’s impact on public libraries was far-reaching after the mid-1990s and newer technologies, such as the wireless smartphone, would continue to revolutionize that way information was distributed and formatted. The Ontario Strategic Directions Council, in its Building Value Together, published in 2002, advocated formation of a single agency, the “Ontario Public Library,” as the primary agency to lead public libraries into the future. This Library could provide province-wide licensing of electronic resources, conduct market research, plan consortia purchases, develop partnerships, and provide effective central leadership to harness the collective capacity of the public library community. Again, the concept was tied to technological ability and increasing use of digitally produced data. From the perspective of the user, the Twenty-first century “Digital Library” is a place where resources are available without recourse to visiting a library, service is 24 by 7, staff members could offer assistance in a virtual environment, and their personal library accounts are accessible electronically. As the concept of “Library 2.0” evolved, it became evident that ideas about user-centered change, community participation, and adoption of new technologies would be the keys to future development. In 2005, the provincial government provided funding to implement a new province-wide framework, “Knowledge Ontario.” With funding of $8 million, Knowledge Ontario expanded to include “Our Ontario,” “Resource Ontario,” “Ask Ontario” and “Connect Ontario” projects. Now it was possible for public libraries to ally with schools, archives, museums, and post-secondary institutions in a virtual setting. Technical infrastructure and broadband access were important to achieving the long-term goal of equity of access via a full range of technology. Futurists conceiving ideas about “Library 3.0” or the “Third Generation Library” viewed libraries as adaptive services and flexible structures designed with a community’s involvement and delivered with the participation of library staff and community members. When Knowledge Ontario ceased operation in 2012, OurDigitalWorld carried on the work of open access to digitized historic materials. It seems the Digital Library will continue to rely on technological developments and collaborative efforts. 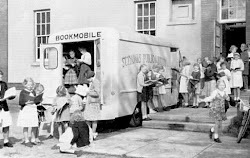 The integration of public libraries with other public sector heritage and information institutions—public, school, government, post-secondary, and special libraries as well as archives and museums—in formal linkages would ultimately benefit a wide-ranging clientele wishing to invest in an information rich universe. Of course, the Digital Library presents problems of its own: storage, preservation, and copyright are just a few of the challenges. However, the potential for users to access vast ranges of information in many formats is a goal that the library has embraced because it is an institution that can help people find information and how to evaluate it. An earlier blog post on the Information Highway given in 1995. "Before you study the history, study the historian."